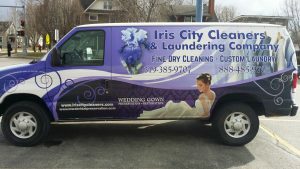 Iris City Cleaners is proud to include ultrasonic technology in our lineup of cleaning methods. Ultrasonic technology changes electrical energy into mechanical energy (sound energy) and, with special additives vibrates, at very high frequencies, soil and dirt off and away of the objects placed into the ultrasonic cleaning solution. Specialized equipment and training are requisite to using these procedures. 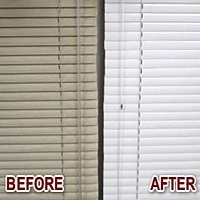 We apply this technology to the cleaning of blinds, such as: VERTICALS, PLEATED, HONEYCOMB SHADES, SILHOUETTES, VIGNETTES, LUMINETTES, WOVEN WOODS, and the old fashioned 2" VENETIAN BLINDS. Cleaning mini blinds also cleans the vanes, ladders and wands of the blinds, and more importantly it lubricates all the mechanisms in the head rail so not only does your blind look like new but it will also operate like new. The combination of our ultrasonic cleaning technology enables the cleaning of more than just mini blinds. 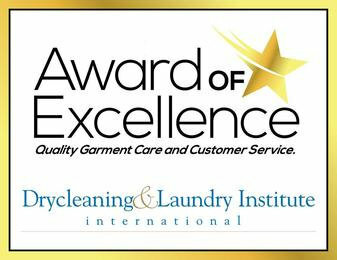 In fire and smoke restoration, this technology is invaluable in cleaning non textile items from soot, grease, and grime. With our ultrasonic equipment and technology we can also clean antique lampshades and delicate crystal chandeliers.